Base inserts with engraved wood grain pattern to simulate wharfs, walkways, and wooden floors. 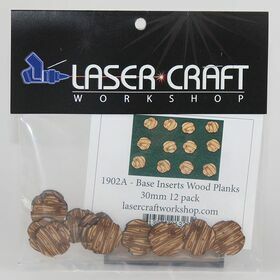 Simple and sturdy base inserts for 30mm recessed bases made from 3mm laser-cut MDF board. 12 per pack.